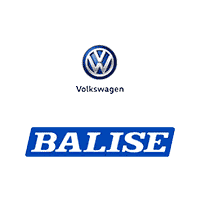 Why Service at Balise VW? Volkswagen automobiles are well-made, reliable products that are a lot of fun to drive, and you surely want that fun to last for a long, long time. The service center at Balise Volkswagen of West Warwick is here to ensure a happy and worry-free future for you and your vehicle. Each member on our service staff of specially trained and certified VW technicians knows your car, wagon, or SUV better than anyone. They also have all of the tools – both for diagnosis and repair – to get to the heart of your mechanical issue quickly and efficiently. All of this adds up to full confidence in our work, less inconvenience, and less time you have to spend without your car. When you’re paying for labor by the hour, you don’t want it in the hands of that independent mechanic who has to research the remedy to the issues our specialized Volkswagen technicians see regularly. We provide all of the automotive services you’ll need, from routine oil changes to complex engine repairs and everything in between. We also offer the Volkswagen Care Program, which lets you choose between two levels of scheduled maintenance plans and intervals (in 10,000-mile increments). By pre-paying for these services, you’ll save money and be less likely to skip the crucial maintenance that all vehicles should have at manufacturer-recommended intervals. These services may include inspecting various parts and systems, replacing spark plugs, and changing transmission fluid. The covered vehicle will also be protected by 24-Hour Roadside Assistance that includes towing, jump starts, flat tire assistance, and fuel delivery. Another reason why you should service your vehicle at Balise VW is the peace of mind you’ll get knowing that genuine VW parts will be used and that they will be the most current versions available. Opting for original manufacturer equipment is a crucial factor for highest quality, proper performance of mechanical components, and reliability. If you choose an aftermarket part and it fails, chances are it may not even come with a warranty. In the case of body work, OEM parts guarantee a proper fit that’s seamless with its neighboring parts. And did you know that aftermarket body components cause a vehicle’s resale value to dip? When the time comes to trade in the car, that could lead to regret. Worse, if it’s a body panel or other part that plays a safety role, a non-OEM part may not be made with the same crumple zones and other life-saving features that authentic Volkswagen parts contain. While the potentially lower cost may tempt you to choose aftermarket parts or an independent shop for repairs, there are many pitfalls that are easily avoided by sticking with your authorized VW dealer. So, why should you service your vehicle at Balise VW? Because we’re the experts you can trust, and we make the entire process as simple as possible. Make your appointment now by calling 401-347-1692 or using our convenient online tool.